The San Pedro Police Department is proud to have one of their own recognized at the annual Eastern Police Division Awards. San Pedro’s Corporal 1037 Allan Woods was recognized as one of the top performing officers for 2017 Wednesday, April 25th in Belize City for his outstanding performance for the most drug interdictions. 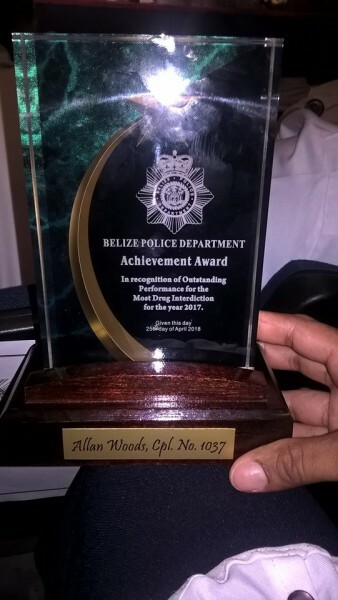 The Commissioner of Police, Allen Whylie along with Minister of State in the Ministry of Security, Honourable Elodio Aragon Jr., hosted the award ceremony handing out plaques and prizes to the 97 police officers and civilian staff of the Belize Police Department. Woods is very happy to receive such award. “I am part of the criminal investigation branch where we deal with drug and firearm operations,” Woods told reporters. “I was also tasked to do some operations in Caye Caulker where I did a lot of drug-related arrests. I feel very proud of myself and the officers that work along with me.” Woods pledged to continue working harder for the betterment of San Pedro. 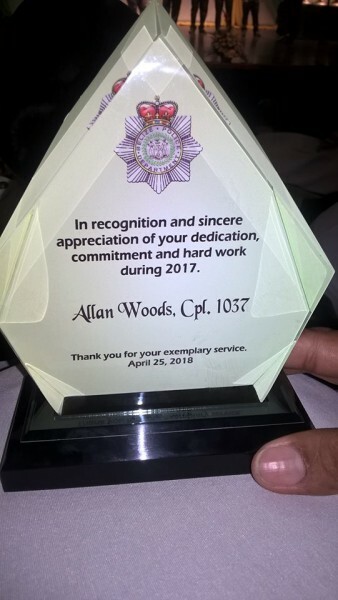 Officer in Charge of the Coastal Executive Unit, Superintendent Henry Jemmott, expressing his satisfaction on Wood’s recognition. “Hard work pays off,” he said. 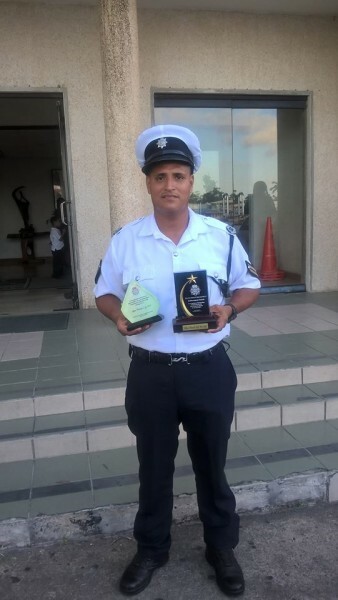 According to Minister Aragon, these awards serve to highlight the work of the Belize Police Department. “It speaks well about the people who receive these awards as we show that appreciation and recognition to them for the good work they do,” said Aragon. “Many times the police personnel is not recognized for the extent of the work that they do.” He believes that such events are important in order to bring to the public’s attention the good work the police do. As of the officers that are not performing up to par, Commissioner Whylie stated that the Department is working along with those officers. He said that younger officers are exposed to service training, then moved to field officers training program where they work along with senior constables to get mentorship. “We do a number of things to continue to build our officers because policing is not necessarily just the training alone. It is by doing that you become proficient at doing it,” said Whylie. The event is also expected to motivate other officers to follow the examples of those doing an excellent job.